Many of my new job search clients, however, are too quick to see rejection and give up. They explain away their long searches by saying things like “they never got back to me,” or “they turned me down so that’s that” or “we lost touch.” When I hear these explanations, I think about missed opportunities. If you can adopt the mindset of a sales professional, you’ll shorten your search through seeing and creating new opportunity in the face of rejection. Once you’ve created your powerful resume and LinkedIn profile, use these examples as a guide to adopting the sales mindset that will help you land and ace interviews. She was gracious. She wished the hiring manager success with the new hire. She asked and received feedback about the interview. It turns out that they liked her personally but she was missing some key experience. She then said “well now that you know what I can do, can you suggest anyone else at your firm, or elsewhere, who I might talk with?” He gave her a referral to someone in another department. She suggested they keep in touch, and the hiring manager became a valuable new member of her network. The story doesn’t end here. She followed up on the referral and obtained another interview, but they rejected her for that position as well! So she repeated the process, and got yet another referral. On this third try, she got the offer that she accepted. Note in this example how my client followed up by calling rather than emailing. 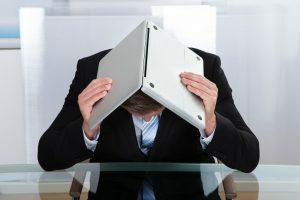 If you email following a rejection, the hiring manager (perhaps feeling uncomfortable after having just rejected you) either won’t respond to the email or will give you a vague, non-committal answer. If you call and get them on the phone, however, you’re putting them on the spot, and enabling something different to happen. If you’re gracious and wish them well (and assuming they liked you personally), they often feel bad they rejected you and want to help! This approach won’t get you an interview in every situation, of course. Nevertheless, you have nothing to lose by trying, and a job offer to gain. Maybe they truly aren’t interested in your candidacy. Or maybe it’s something else; the hiring manager is on vacation, or they are re-assessing their needs and budget, or the wheels just turn slowly at this organization. Don’t reveal insecurity by asking “what’s the status” unless you need to know because you are about to receive another offer (and in that case let them know). Otherwise, the question will only hurt your chances of getting the job. If you have several other opportunities in the works (which you should, as the search is ultimately a numbers game), you’ll feel less of a desire to ask this question. Other variations on this follow-up email include sharing additional thoughts about how you can help or sending a link to something you think would be of interest. If you do send a link, make sure it’s truly of interest. Otherwise you’re just showing them how you can waste their time. 2. If you still don’t hear back, pick up the phone. Countless clients have landed meetings because of the call they made following an email. Often the target of your call will be apologetic, or even grateful for your persistence, and will immediately set up the meeting (some people just aren’t particularly responsive with email). Again, try calling before 9 a.m., when they are more likely to be around.